How would you like to teach science to your child using a biblically integrated science program with a strong emphasis on creation and the Creator? That's exactly what you'll get with LIFEPAC Science curriculum. 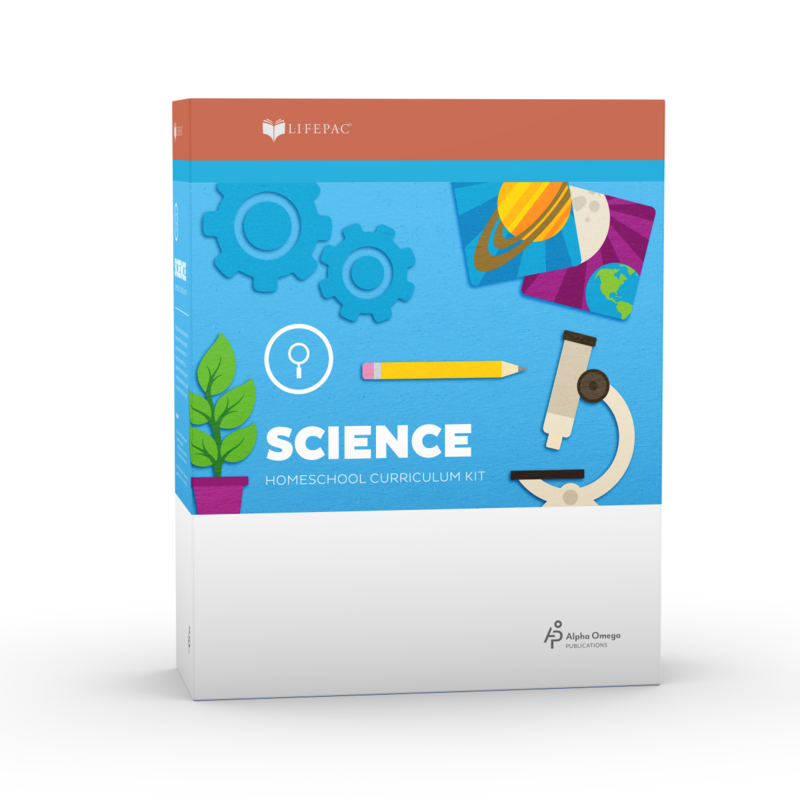 In the LIFEPAC 2nd Grade Science Set, your homeschooling child will work on the development of critical observation skills as part of instruction in the four major science strands. These strands—life sciences, earth and space sciences, physical sciences, and the nature of science—are an integral part of a complete study of the physical universe that God created. In the LIFEPAC 2nd Grade Science Set, ten worktexts present lessons for early readers in a colorful, fun format. Your child will be captivated by lessons on what God created, man-made objects, how animals are alike and different, how people are alike and different, caring for pets, using the five senses, colors, shapes, sizes, caring for our world, the seasons, and much more. What else is included? We know that science is a subject that most homeschool parents find somewhat daunting to teach, so we've included some features to help make your job easier—and more fun! An essential Alpha Omega curriculum teacher's guide is available which consists of general teaching resources, detailed teaching notes, complete answer keys, alternate tests, a complete list of equipment needed for experiments, and plenty of additional learning resources and activities. In addition, student worktexts, created to foster academic independence and critical thinking, include daily instruction, review questions, and experiments, as well as opportunities for regular assessment. Sound good? It is! Order the LIFEPAC 2nd Grade Science Set for your child today!